Aluminum Fence - how to get a wider opening? I have an aluminum fence around my pool. I also have an ATV which I use to bring supplies to & from the pool. I would like to figure a way to get a larger opening. 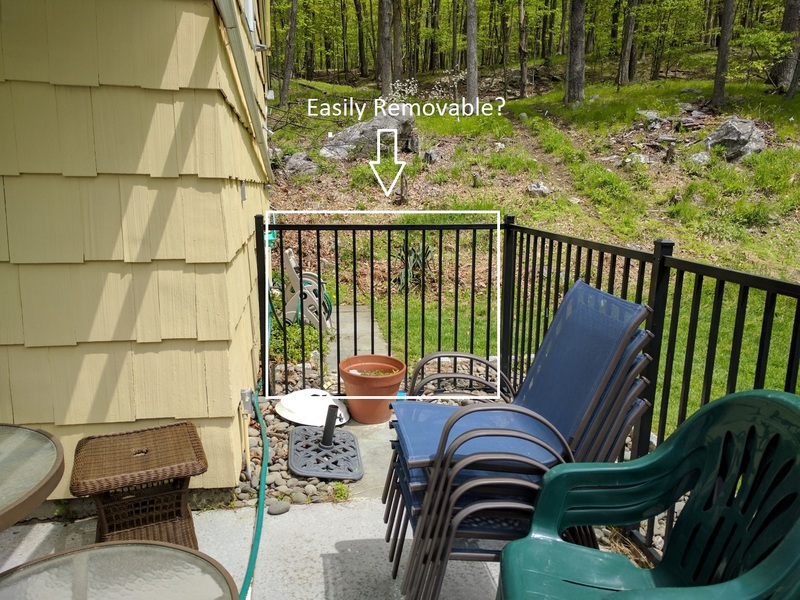 Is there an easy way to either put a hinge of some sort on a part of the fence or some way for easy (ish) access to drive a quad into the pool area? The regular gate I have now is about 45 inches & the quad is about 47 inches wide so it wont fit. If I could easily remove a part of the fence it would be a snap to drive in & out. I am sure you can cut it off and make it into a gate. Whether it is easy or not is up to your abilities. Just make sure it still complies with any codes ... like self-closing and latching with high latches. Yes you can remove it and measure the opening, then order a new gate which will mount to the existing poles. The only difference in, "line" vs "end" poles are the cutouts for the railing to slide into.